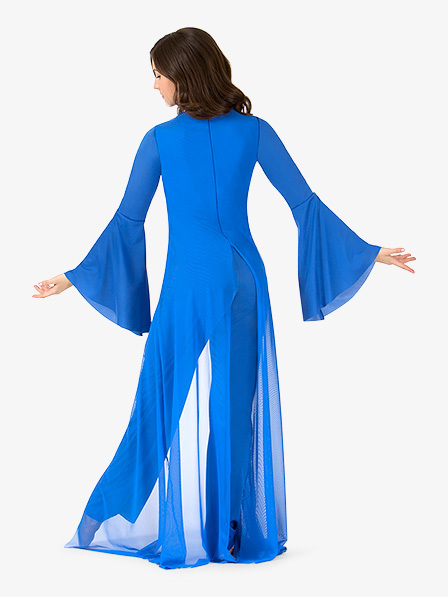 OUR PRICE: $45.75 - Join Rewards Get $2 Dance Dollars On This Item! 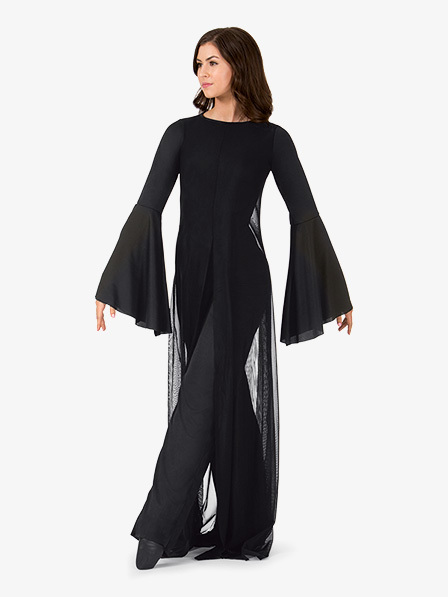 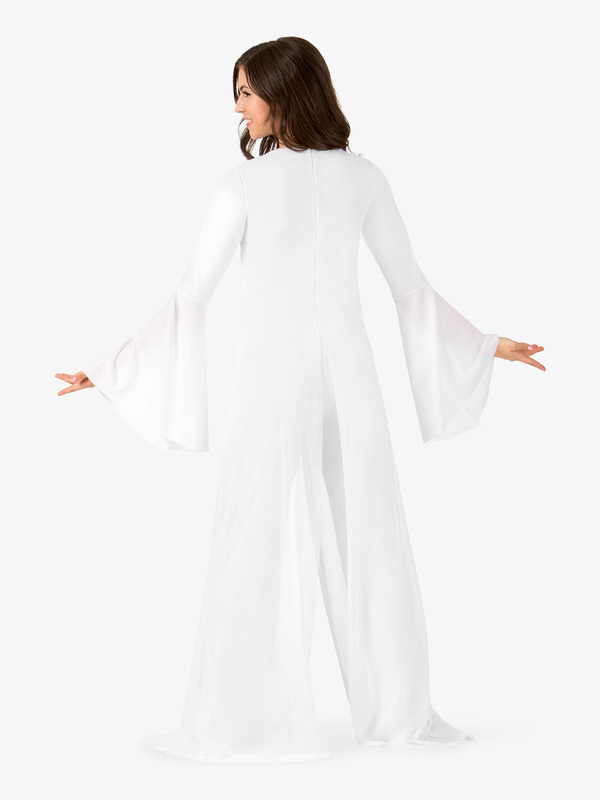 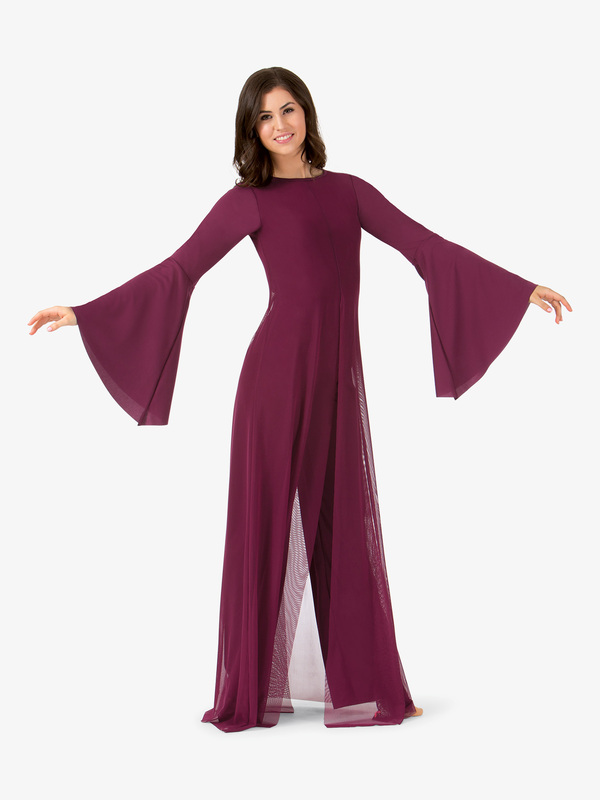 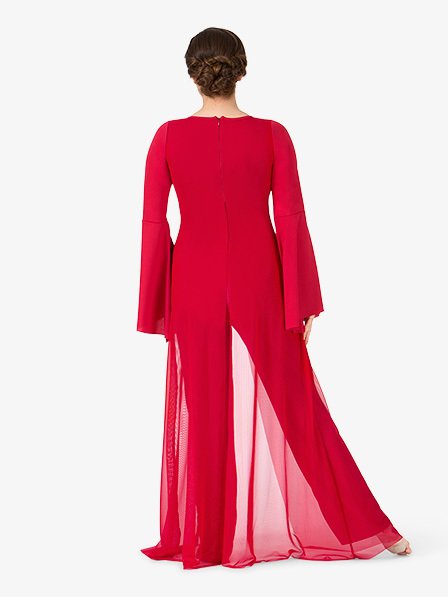 Elegant liturgical jumpsuit features a conservative boatneck, long flared sleeves, center horizontal seam, a flowing sheer mesh overlay, and a functional center back zipper. 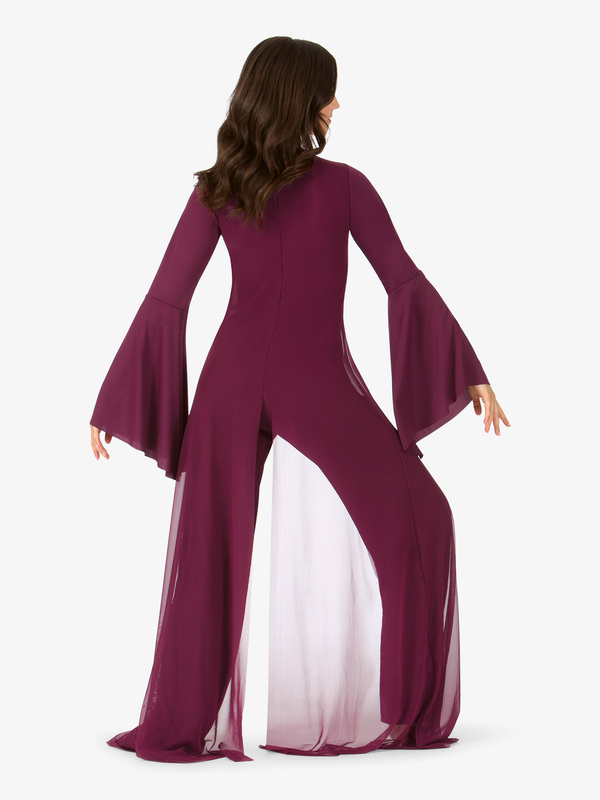 Does this jumpsuit run true to sizedoes it run smaller? 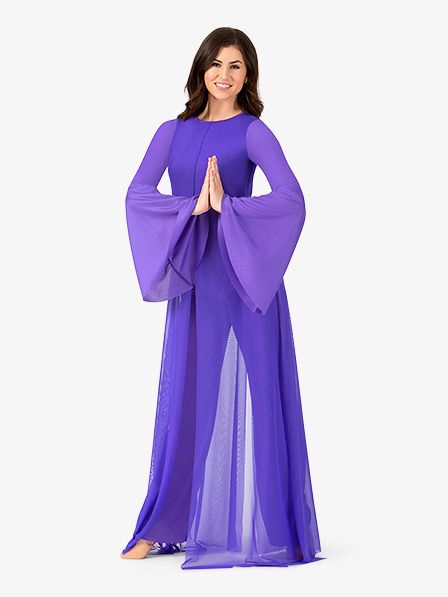 Hello, Thank you for you inquiry! We recommend following the measurements on the sizing tab for the most accurate fit. 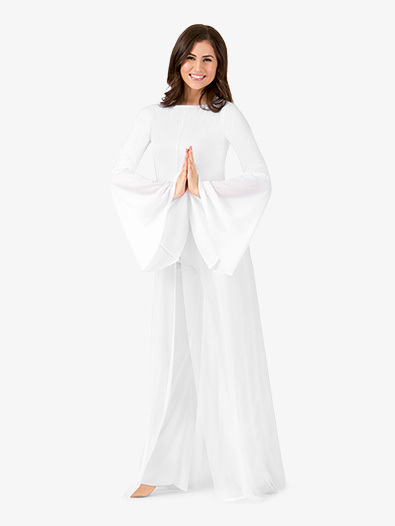 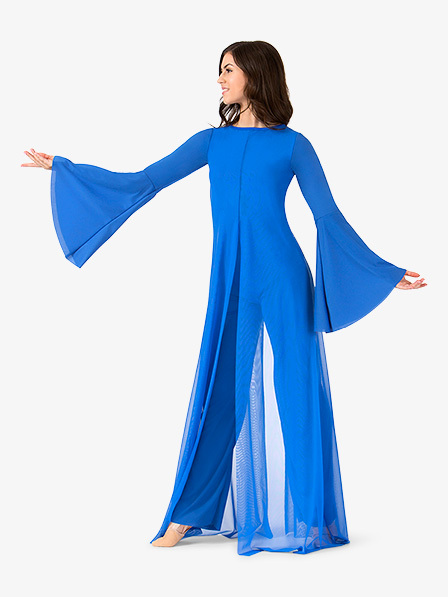 This item is a liturgical jumpsuit. The pants and top are all one piece. 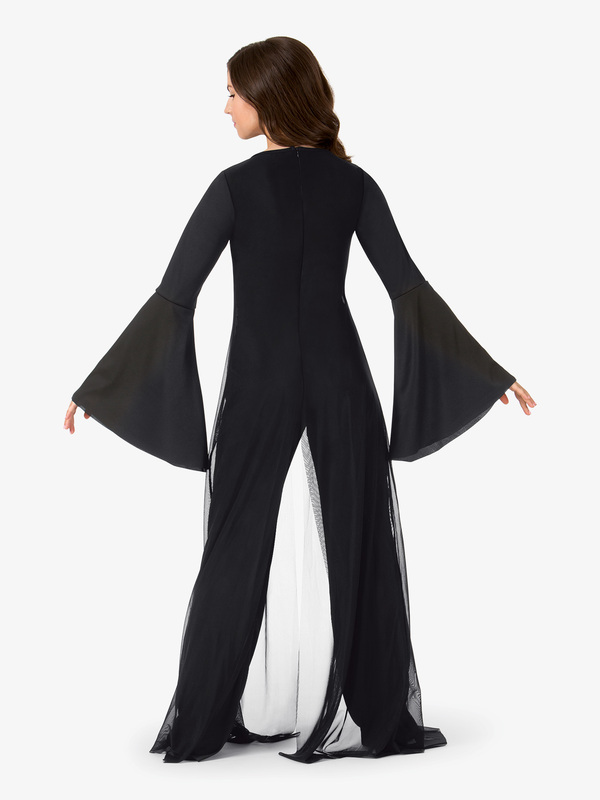 This item has a center back zipper closure.